Pawan Munjal (MD and CEO, Hero MotoCorp) in discussion with Rahul Kanwal (News Director - TVTN and Managing Editor - Special Online Projects) shed light on customer request, demonetisation and Goods and Services Tax (GST). Rahul Kanwal and Pawan Munjal discussed developing circumstances in India affecting the bike division. Chatting on India's purchaser request Pawan Munjal stated, "Bikes in India have great future." Having said that, Pawan Munjal likewise said that there has been a log jam off late in the engine area. He stated, "We didn't see an incredible Diwali season like we have been finding before." Pawan Munjal is likewise hopeful that this present quarter's equalization should gaze upward and numbers will begin showing signs of improvement. Talking on moderate buyer development, Pawan Munjal stated, "By and large, amidst January it begins to get. The final quarter in the financial is typically a decent quarter. So far we haven't witnessed that." 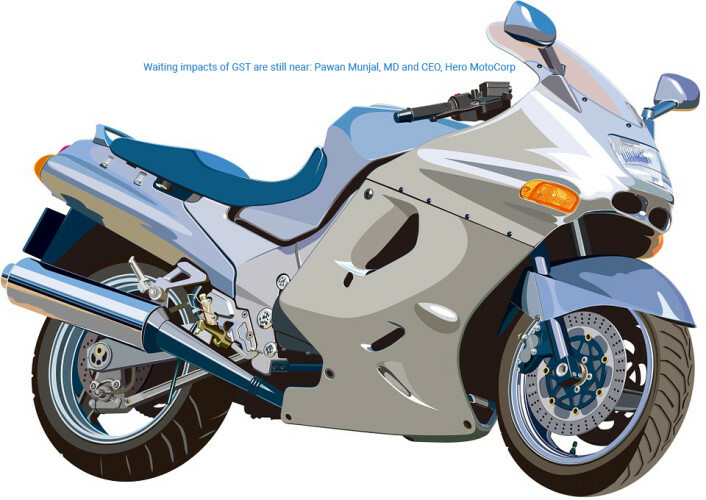 Talking on impacts of demonetisation, Pawan Munjal stated, "A substantial number of individuals who purchase 110cc or 125cc bikes were paying in real money. They clearly got hit so around then there was a slight down turn yet that impact has gone. At that point came GST. The execution of GST affected many individuals. That waiting impact of GSAT is still near." Discussing the financial plan around the bend and the up and coming races Pawan Munjal stated, "There are a ton of conceivable outcomes with government thinking of a few measures and declaration that will help and bolster the customers which are their voters." He said agri segment needs a great deal bolster. "Comprehensiveness of such a vast populace is the thing that this country truly needs," Pawan Munjal said. He included, "7.5 percent is a decent development rate when you contrast with whatever is left of the world, however for a country like our own we should have somewhere around 10 percent development for going ahead."